Most hotline submissions will run for 1 month or expiration, whichever comes first. Remember to submit your name and contact information in the event that we have further questions about the content of your announcement. 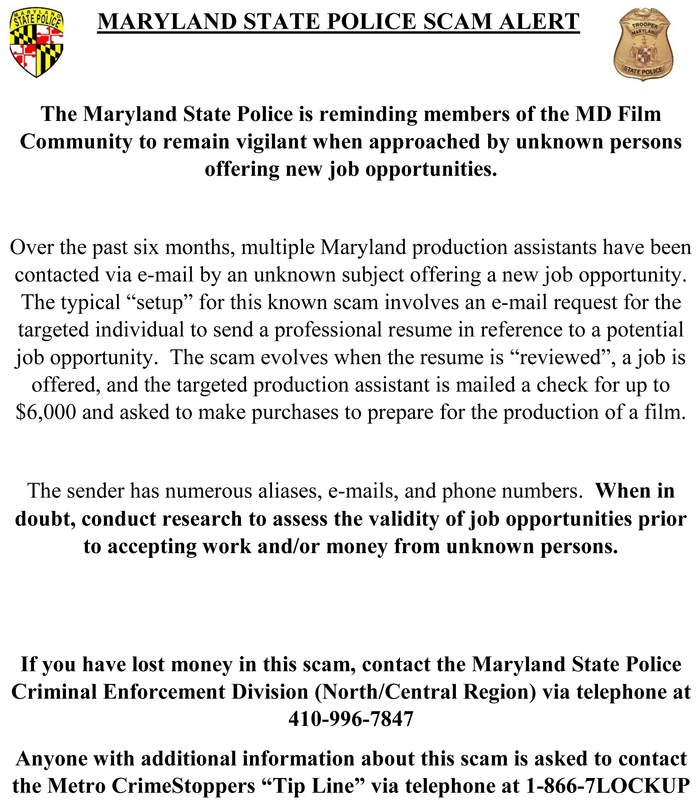 Email your announcement to filminfo@marylandfilm.org​. In addition to our hotline, you can visit the following casting and job lists. Copyright 1999, Department of Commerce. All Rights Reserved.